Buy wedding dresses and dye them black. Witch, Morticia, Frankenstein’s bride, the possibilities are endless. And who wouldn’t love to wear a bridal gown for one night? More thrifted Halloween ideas here on our Pinterest. Remember, Halloween is the biggest opportunity your shop has all year to attract, please, and convert non-resale shoppers. Help them become a vampire or a werewolf, and you’ll create raging fans from strangers. 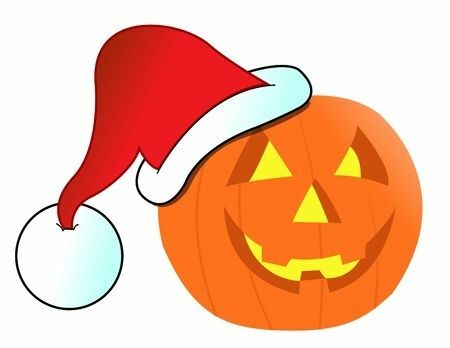 Learn how to profit from the holiday with our Halloween PDF! If you’re planning your October promotions, it’s a great month for two things: Halloween and Breast Cancer Awareness. Or, as this delightful pumpkin decor suggests, you could combine the two! Promote pre-cycling by putting together some of these ideas from your stock for a whole RACK of eco-friendly costumes. You’re welcome to print this HowToConsign booklet out to have in your shop for customers to read! See if you can schedule the mobile mammogram unit in your parking lot. There may be a lot of demand that month, though, so be prepared for some sort of Plan B to benefit your clientele and the less-fortunate in your community. Bling your Bra is fun, but you need to start working on it now. You can award a prize by getting your customers to vote on their favorites, charging $1 a vote to go to your choice of cancer charity. The winner(s) get shop gift certificates. Google for how others have organized their events fr some great ideas you can adapt. Collecting bras for the homeless is a simple, reputation-enhancing event. And believe it or not, bras are one of the most-requested clothing items at shelters. Talk to local homeless charities about being a collecting point and find out how they can help you publicize that.